Uruguayan essayist, journalist and historian. 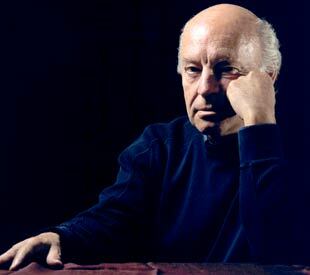 Eduardo Galeano disdains borders, both in life and in literature. Exiled from his native Uruguay after the 1973 military coup, he returned to Montevideo in 1985, where he continues to live and write. Galeano’s books subvert the distinctions between history, poetry, memoir, political analysis and cultural anthropology. With a graceful sense of craft, he uses “only words that really deserve to be there” to convey a humanely moral perspective on matters both personal and political. His writing honors the experiences of everyday life as a contrast to the mass media that “manipulates consciousness, conceals reality and stifles the creative imagination … in order to impose ways of life and patterns of consumption.” By multiplying seldom heard voices, Galeano refutes the official lies that pass for history—his work represents an eloquent, literary incarnation of social justice.